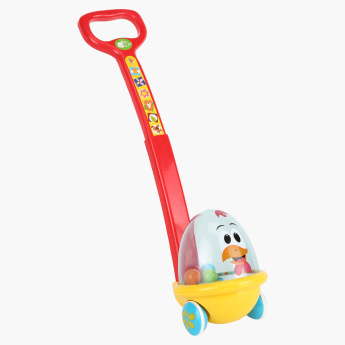 Get this colourful and classic push toy for your little one which will give him hours of fun. 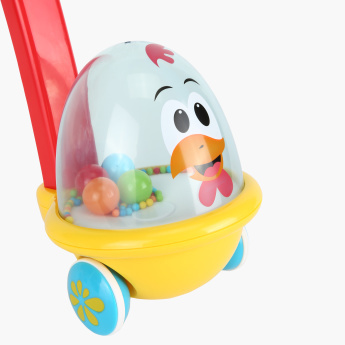 It features a turnable head, flashing lights, and interesting sounds when the hen is moved. 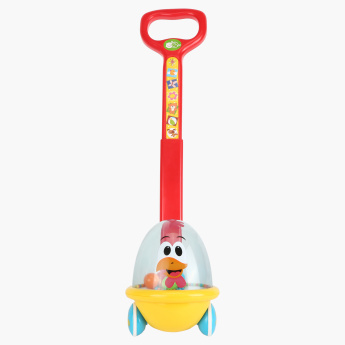 This promotes physical development as the child pushes along with the toy while walking.